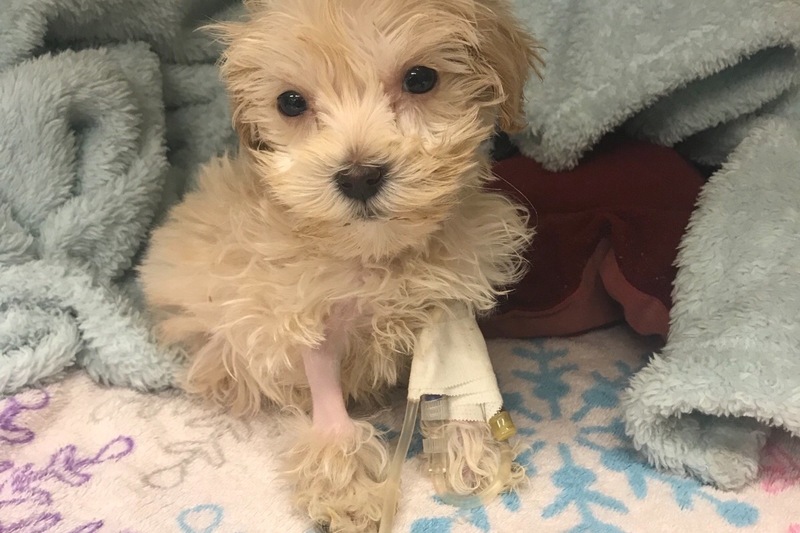 Chanel is a ten week old Maltipoo whom was sold by a shady breeder with the deadly Parvo virus off of Facebook. Her litter mate that was sold the same day has already passed away. 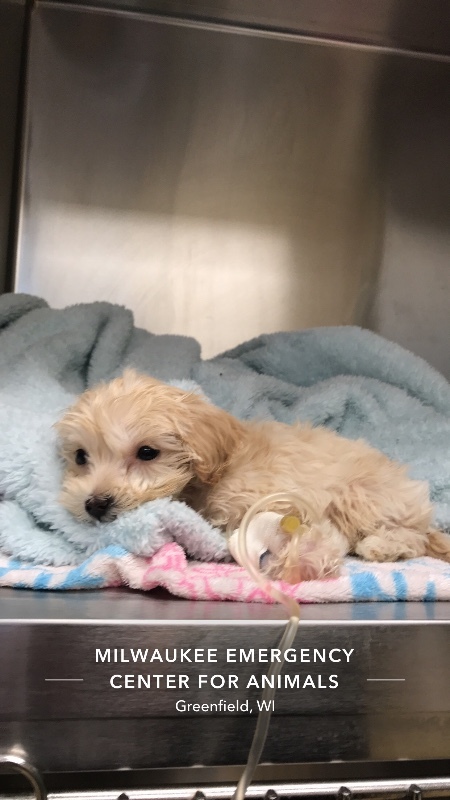 Chanel is fighting hard, she weighs only one pound and is very, very sick. Chanel is fighting with all her might for her life at The Milwaukee Emergency Animal Center, a 24 Hour Vet Hospital located in Greenfield, WI. A very kind lady from the Facebook world came forward offering to help her and I, & since I didn’t have the money to hospitalize her myself I accepted. I have come to learn she truly doesn’t really have the money to be doing this for us either, and I feel terrible for accepting her help now, knowing it will take me years and years to pay her credit card back. I’m coming here to literally beg for help in saving Chanel’s life. $2000.00 has been put down already towards her care, but she’s far from healthy yet and the costs are mounting fast as she spends another overnight in the 24 hour facility. Any money left over after her Vet bills are paid, I intend to donate to the clinic that is saving her life, to help save another puppy some day. Kindly asking for anything at all towards her very high veterinary costs, as I live on SSDI for MS and part time bartending and I just do not have this kind of money needed. No release date has been set for her at this time. This is her second night hospitalized. She almost died yesterday and has made tremendous progress in the last twenty four hours. Thank you ever so kindly in advance. Her story can be verified and followed on my personal Facebook page.